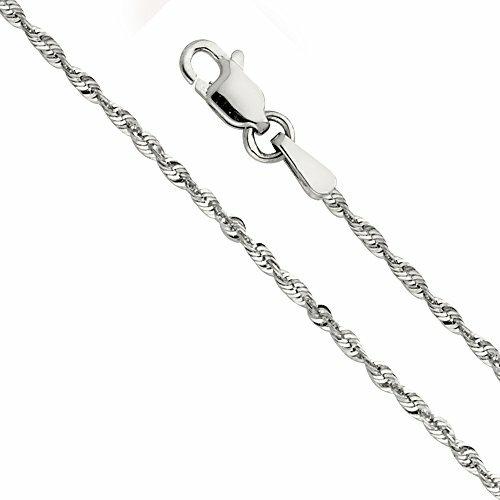 14k White Gold SOLID 1mm Diamond Cut Rope Chain Necklace with Lobster Claw Clasp - 18"
If you have any questions about this product by The World Jewelry Center, contact us by completing and submitting the form below. If you are looking for a specif part number, please include it with your message. Gold Plated Heart Pendant I Love You Necklace 12 Languages 24k Gold Inscribed Black Cubic Zirconia, 18"
14k Yellow Gold 8-8.5mm White Freshwater Cultured Pearl and 4-4.5mm Simulated Onyx Necklace, 18"